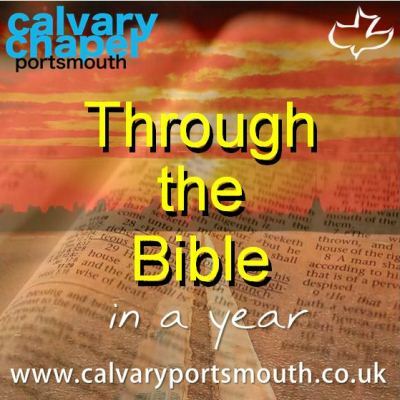 This study, taught by Pastor Barry Forder, is the 43rd session of our ‘Through-the-Bible-in-a-Year’ series recorded during 2014 as part of our Sunday morning family services. In this study we review Paul’s letters to the Timothy. In Paul’s second letter to Timothy, he continues to give this young pastor instruction for the ministry. Once again, the importance of doctrine is underlined (1:13), without which it just becomes human opinions. In chapter two Paul returns to one of his favorite themes – grace. For any minister or ministry to function, the prerequisite is to “be strong in the grace that is in Christ Jesus” (2:1), everything else flows from this. Personal study and an understanding of the scriptures is mandated (2:15), as is a pure heart and mind (2:22). Paul then warns that “perilous times will come” (3:1), going on to describe the world we now live in. Because of this, all who live godly must expect persecution (3:12). However, we will be unshaken if we are grounded in God’s inspired Word, which is “profitable for doctrine, for reproof, for correction, for instruction in righteousness: That the man of God may be perfect, throughly furnished unto all good works” (3:16-17). It is also our mandate to ‘preach the word’ (4:2), because many within the ‘church’ will reject God’s Word in favor of man’s fables. Paul said ‘the time will come’. As we survey the ‘church’ today, we find it now has.